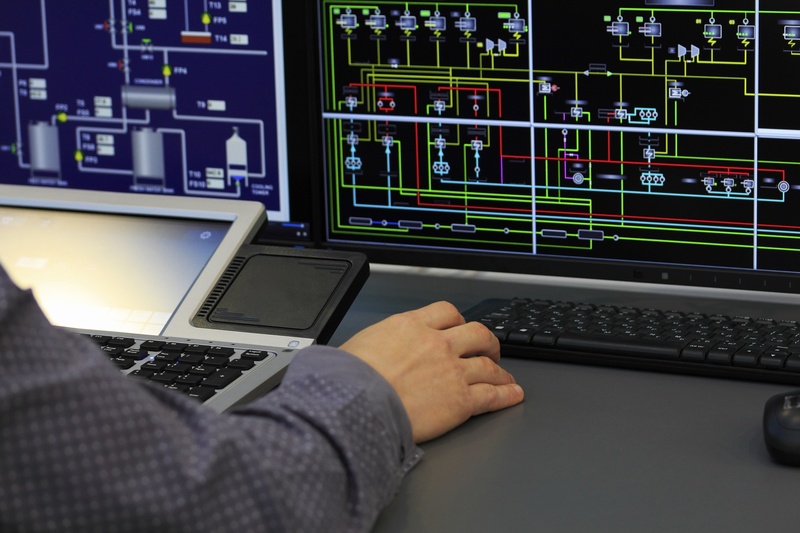 Chilled water plants are sophisticated assets comprised of mechanical and electrical systems controlled by programmable logic controllers (PLCs). They play a critical role in the operation of a wide range of facilities, including power plants, industrial facilities and data centers, and are often designed to function with minimal operator interaction. However, even the most intelligent systems degrade over time and require some amount of service and tuning to maintain optimal performance. Here are some preventative maintenance measures you can take to ensure that your chilled water system is always operating in an efficient, safe and reliable manner while maintaining peak performance. In recent years, turbine inlet air chilling (TIAC) has become a highly reliable method of enhancing power plant performance by increasing the output and efficiency of combustion turbines during periods of high ambient temperature. This is typically achieved either through mechanical or absorption chilling and involves supplying chilled water (or an alternative fluid) to the heat exchanger in the filter house of the combustion turbine, thereby cooling the inlet air which raises its density and increases mass flow rate through the compressor. More than 10 years ago, power plants were traditionally stick-built, with each building custom designed and made for that particular plant. 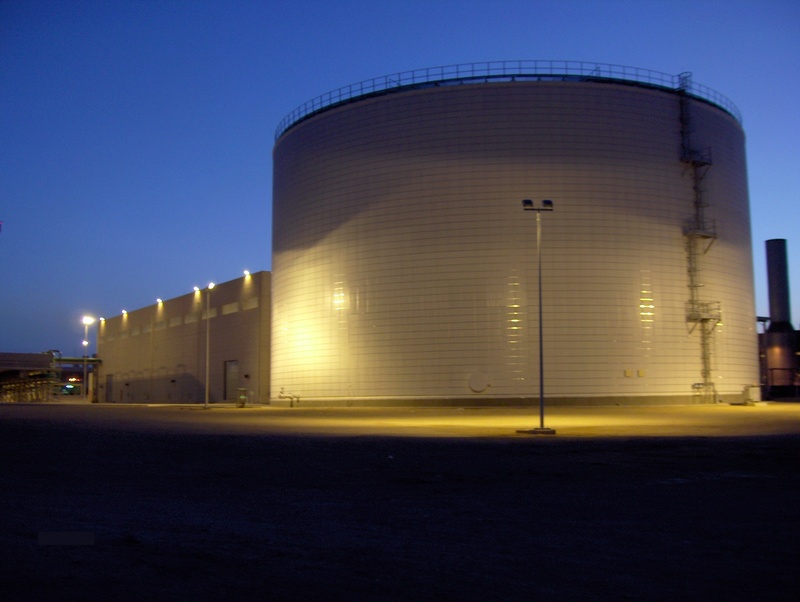 The major benefits of this approach were maintenance access and lowest equipment pricing, since a substantial portion of the work was being completed in the field. Fast forward a few years and three factors started instigating a change in philosophy: centralized organizations, rising construction costs and real estate issues. Water (H2O), the most abundant substance on earth, is also a universal solvent. From rivers and lakes to seas and oceans, water is the main ingredient but its composition varies because of its solvent properties. As water falls through the air, it absorbs gases and picks up particulates such as dust and pollen. Then, as it trickles down through soil and rocks, it dissolves minerals along the way. As a result, water quality varies greatly both regionally and seasonally. 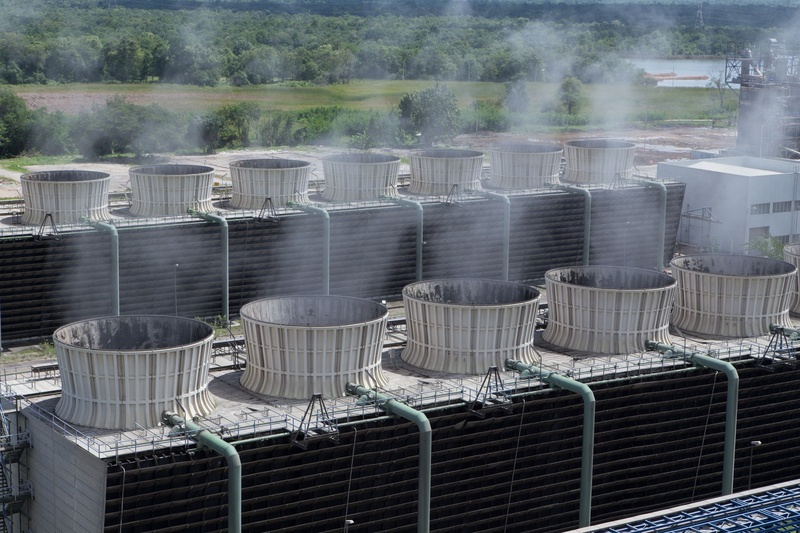 Water vapor rises from cooling towers at power plants, hospitals, hotels and other large facilities. Water is also a highly effective heat transfer medium. Heat transfer is the process whereby thermal energy or heat moves from one body or substance to another, and from hot to cold. We’ve all noticed the large plumes rising from a hospital, hotel or a power plant. 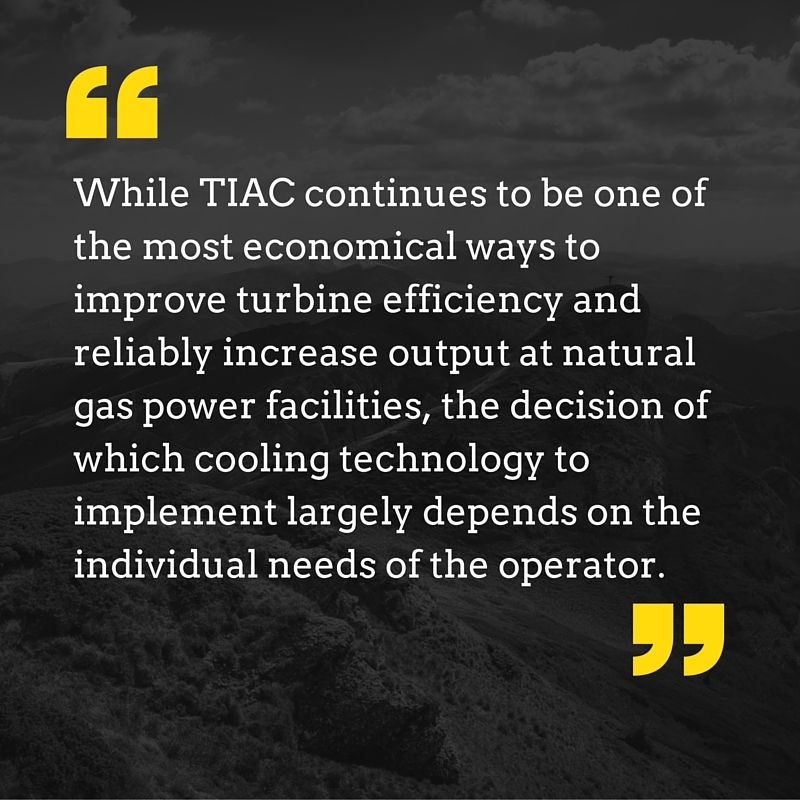 While both Supplementary or Duct Firing and Turbine Inlet Air Chilling (TIAC) are solutions to offset the megawatt output degradation of gas turbines when ambient temperatures rise, the two technologies take very different approaches. With TIAC, the combustion gas turbine inlet air is chilled. In the case of duct firing, injection of fuel is utilized to increase the temperature and mass flow rate of the exhaust gases. Rather than competing, the two technologies – duct firing and turbine inlet cooling – can actually complement each other when used correctly. For maximum power output, power plant owners can utilizing the reliable power augmentation provided by TIAC, and balance the requirements with duct firing. 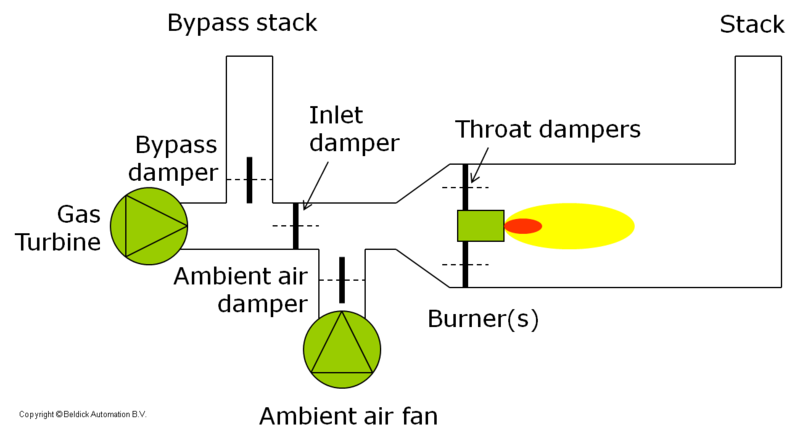 This scenario allows them to produce the required power at the lowest possible heat rate. However, the combination of TIAC with Duct Firing is rare – most owners choose one solution over the other. Let’s look at how Duct Firing works. The changes in U.S. electricity supply and usage levels are rapidly reshaping utility load profiles and thus generation and transmission requirements for both new and existing resources. The recent discovery of relatively cheap natural gas in the U.S. and growing use of the fuel as a baseload power generation source has also coincided with the rapid adoption of renewable resources in many parts of the U.S. These new components of the electricity supply stack continue to displace more traditional and older forms of baseload power generation, coal and nuclear units, for both economic and public policy motivations. Unfortunately, these growing pieces of the U.S. generation supply side all are subject to weather related intermittency. 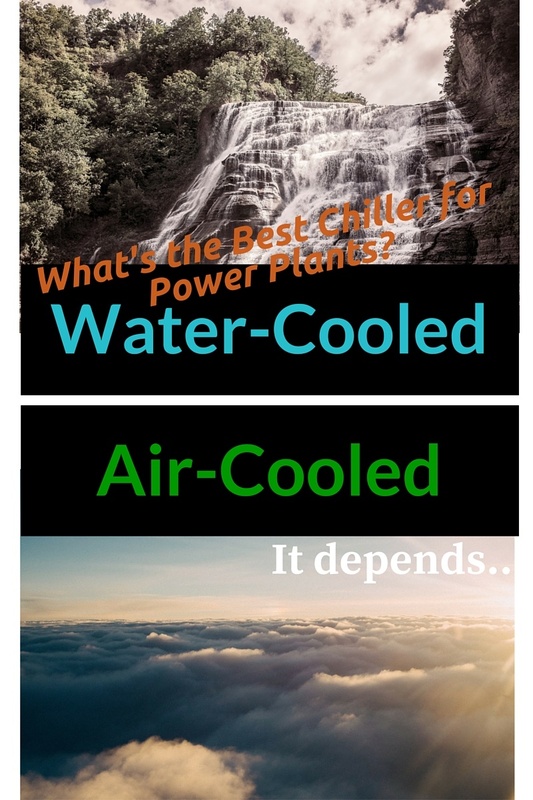 Water versus Air Cooled Chillers: Which is Best for Power Plants? To call water a hot commodity is an understatement. From controversial water trading to desalination, a slew of efforts are underway to solve water scarcity issues in many regions of the world. Some, like the massive undertaking by Israel to reuse wastewater and desalinate water from the Mediterranean Sea, are having an impact. But as population and urbanization continues to grow worldwide, so does water consumption, and, naturally energy use. Water and energy are closely tied. Consider that thermoelectric power plants – which currently provide the vast majority of US electricity — consume a lot of water. In fact, the power industry is one of the largest water users in the United States. Presently, in the US, coal plants are being displaced by natural gas plants. However, gas turbine efficiency is the lowest when the demand for power is the highest, during hot summer months. To offset this negative effect of high ambient temperature, gas turbine inlet air can be cooled via mechanical chillers. 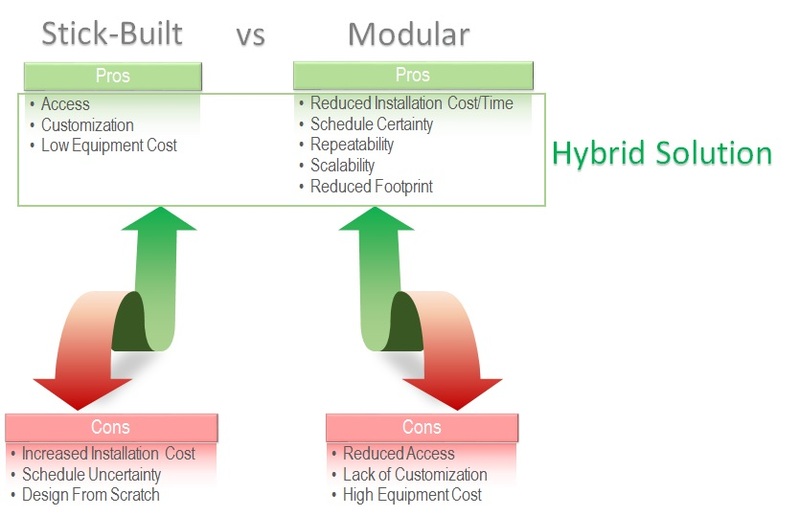 In an ideal world, the most efficient equipment would also cost the least to buy and install. But in the real world that’s usually not the case. Equipment often runs more efficiently because it’s made from higher grade materials. Higher grade materials cost more. Anyone who has priced home air conditioning systems is aware of this. But as Energy Star labels often reveal, lower electric bills offset the higher cost to purchase the AC system over time. The efficiency pays off by making the house cheaper to operate. A similar principle applies to turbine inlet air chilling (TIAC) systems for power plants, but on a much larger financial scale. Lower capital costs (capex) may mean higher operating expenses (opex). That’s why it’s important to consider the total lifecycle costs — and how to minimize them — when investing in a TIAC system.